The cheese that I bought did not have much flavor. It was kind of bland. I tried it on a turkey sandwich and made some cheese toast for breakfast. "This must not be mozzarella. This must be some kind of Brazilian cheese that I have never had before," I thought. As it turned out, Pastel is not really cheese. It is thin, round pieces of dough. 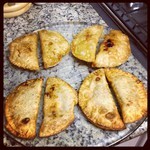 It is used to make a delicious, fried meat pie. Of course, all of my Brazilian friends were laughing at me and not with me when we told them what we had done. I don't mind, though, because I get to eat the pastel the way that it was meant to be eaten! As for Annie's soup mix, well, that did not work out so well either. It turns out that "Completo" is a seasoning. A very strong seasoning. That little container is enough seasoning to last the entire six months that we are in Brazil. 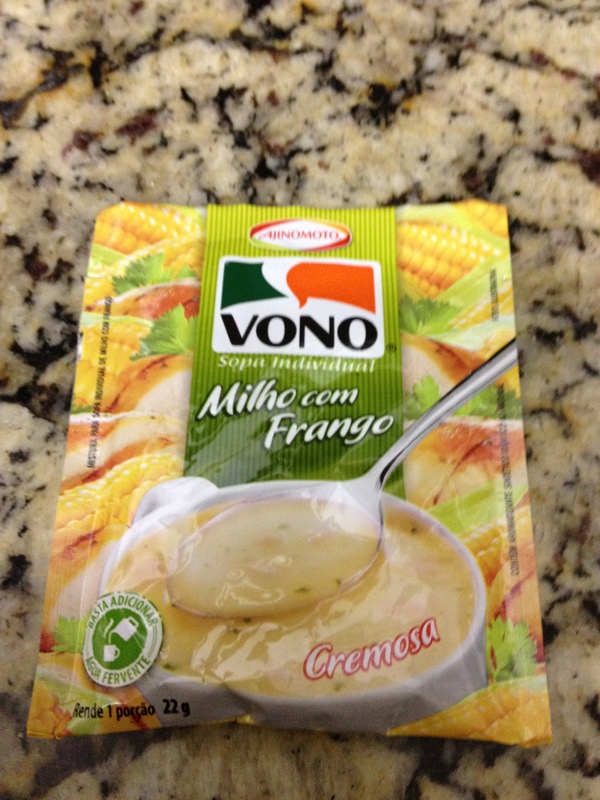 The little packet below is real Brazilian soup. Just add hot water and it is delicious! After almost three months now, we are able to go the grocery store and make it home without any major disasters. Annie's Portuguese is much better than mine so the adventures are becoming fewer and further between. And I am glad we were able to provide a little humor to our wonderful friends here!